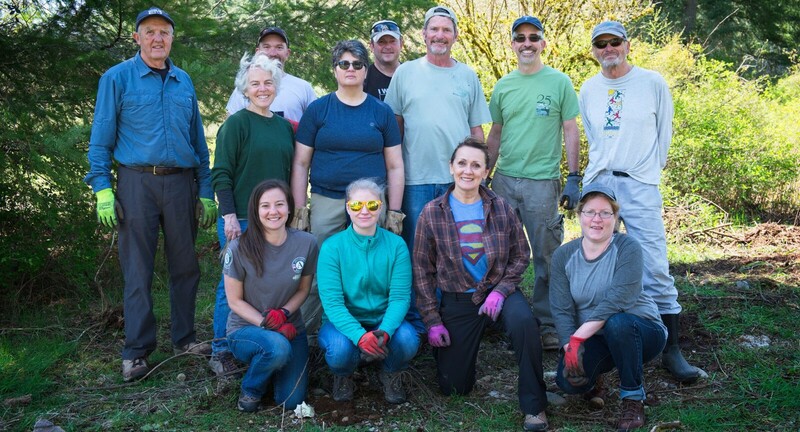 In honor of National Volunteer Week (April 15 – April 21, 2018) we wanted to send a shout-out to all the amazing and dedicated volunteers that donate their time and energy to Capitol Land Trust. In 2017, 246 individuals volunteered over 3,000 hours on a myriad of tasks that are integral to our mission. These include stewardship and other outdoor projects and events, photography, Committees and the Board of Directors, land monitoring as part of our Land Stewards program, assisting in the office, teaching on student education days, and more! Our stewardship volunteers help improve habitat on our preserves by planting native seedlings and maintaining these plantings in almost all weather conditions; our Committees and Board of Directors provide organizational support and direction; our Land Stewards assist in annual property monitoring; office volunteers support the daily tasks of keeping the organization running smoothly; education volunteers teach the next generation of conservation leaders. We truly could not do this important work without your support. A special shout out goes to volunteer Charlie Schneider for his nearly 20 year dedication to volunteerism. Originally from Ohio, Charlie moved to Las Vegas, NV in 1990 where he was an employee of the United States Postal Service. Charlie’s story begins in 2001 when he volunteered for the first time on a week long outing trip with the American Hiking Society to Saguaro National Park removing cactus and replanting. From that point on, he was hooked! A couple of years after moving to Washington, Charlie began volunteering with Capitol Land Trust. Since then, he has volunteered an admirable 120 hours between our office, the Conservation Breakfast, and stewardship events. 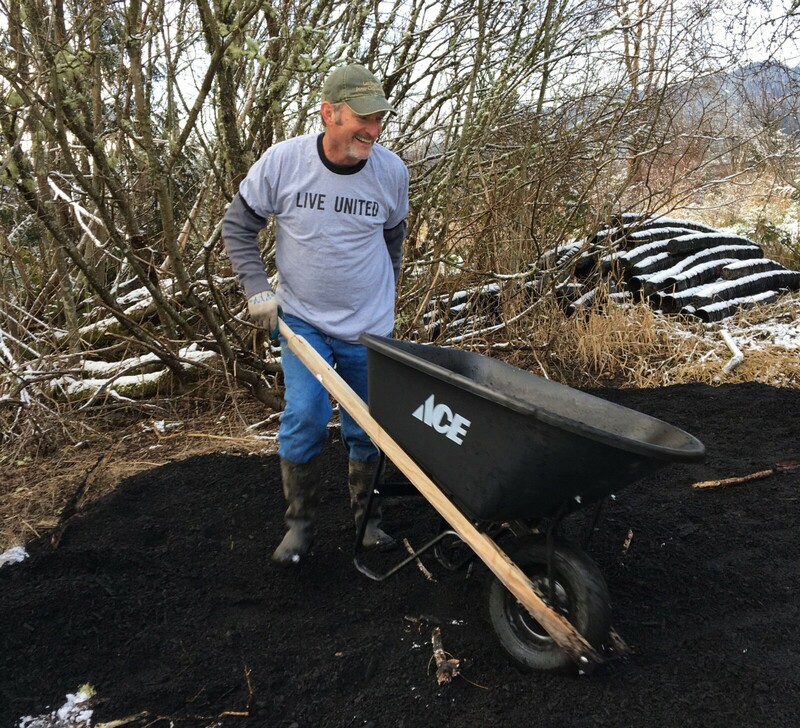 In addition to volunteering with Capitol Land Trust, he also volunteers for Native Plant Salvage, Washington Trails Association, Sierra Club, Stream Team, Adopt-A-Road with the City of Tumwater, and the Tumwater School District. On top of being active in his community, Charlie brings a warm and fun attitude to any event. When we asked why he volunteers, he responded, “It’s important that we protect our watershed and estuary areas and volunteering with Capitol Land Trust gives me that opportunity.” He further explains this is the land he is leaving for his children and grandchildren and wants to leave it in the best condition possible. We want to hear from you. Tell us your stories about volunteering, and why you volunteer! Be sure to RSVP for our Volunteer Appreciation lunch on Friday, June 8th!